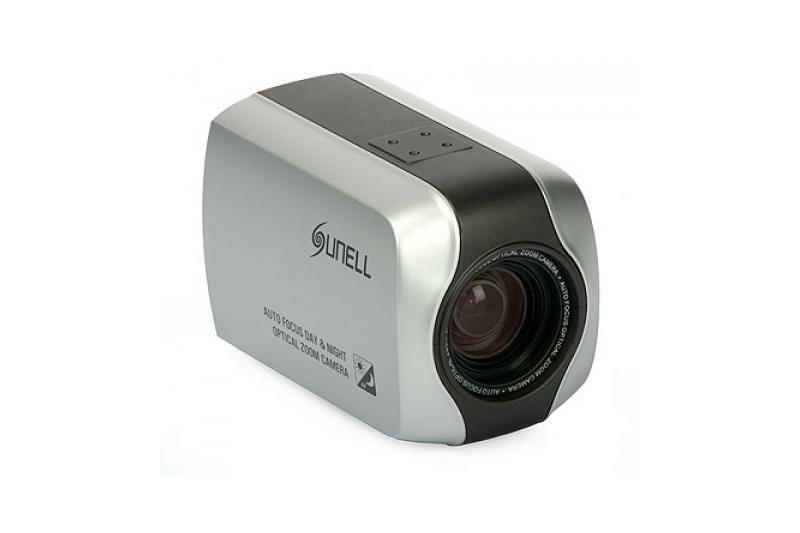 Sunell SN-ZMC6100DN/Z22 camera is a high class device equipped with a Tamrom motor-zoom lens with 22x zoom and auto-focus. The lens can be controlled via RS-485 (through the DVR or console), by external voltage applied to the appropriate pins of the camera's connector, or by using the OSD buttons on the camera. Wide area auto focus - the focus is set not to the object in the center point of the image. It is useful for capturing images of moving objects. The minimum focusing distance can also be adjusted, beginning with 1 m.
The camera has a mechanically switching IR filter (ICR). It improves significantly the camera image quality both day and night. Due to the filter, the colors are vivid and natural during the day, and after its removal at night, the camera has full sensitivity to infrared light.